Marking the centenary celebrations for its renowned King's and Queen's courses, Gleneagles has revealed special golf packages available during May to invite golfers to the spectacular estate within the heart of Perthshire and experience two of Scotland's most acclaimed inland layouts. To celebrate all the great golfing memories and moments that have made Gleneagles one of the world's must-visit experiences, golfers booking to play either course between May 1-15, 2019, will pay a reduced £100 per person as a special ‘nod' to their 100th birthdays. Both 18-hole championship layouts remain beacons for golfing aficionados, corporate guests and world-renowned celebrities and are steeped in history. The King's hosted a famous match between the 'Big Three' of Jack Nicklaus, Arnold Palmer and Gary Player in 1966, as well as the popular Bell's Scottish Open on the European Tour from 1987-1994, the largest spectator event after The Open at the time. The Queen's has also hosted great names from entertainment and sport, including Sean Connery and Alan Shepard, the only man to hit a golf shot on the moon! 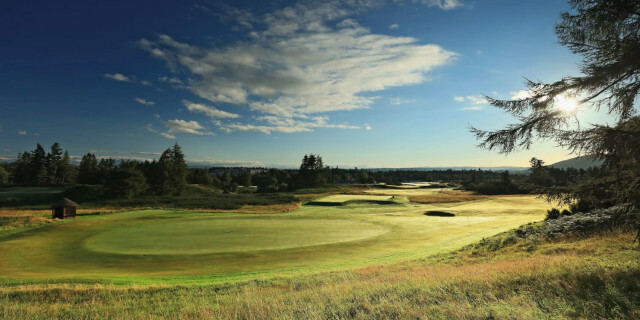 In recent times, and under new ownership, both courses have benefitted from extensive projects that have seen them re-aligned to Braid's original design vision with wider fairways, bringing strategically-placed bunkers back in play, and the re-introduction of Scottish heather in key areas. For golfing guests wishing to combine their sporting passion with the splendour of staying at award-winning Gleneagles, they can take advantage of the exclusive 'Regal Rounds' overnight residential package, available throughout May 2019 only. Based on two people sharing either a twin or double Classic Room, guests can enjoy two rounds of golf each, indulge in a hearty Gleneagles breakfast, and enjoy full use of The Health Club during their stay, for £680. This package allows access to all three championship golf courses, including the Jack Nicklaus-designed PGA Centenary, host venue of the Solheim Cup in September. Gary Silcock, Director of Golf at Gleneagles, said: "Our golfing heritage is in the spotlight this year, with 1st May 2019 marking 100 years to the day when our King's and Queen's courses first opened. It's incredible to contemplate all the shots that have been hit down those iconic fairways since James Braid first created them using nothing more than manual labour and horse and cart. "As we look ahead to the next 100 years of golf at Gleneagles, we're delighted to announce these special offers, which will give many more golfers the opportunity to experience our world-class courses, and the chance to join our celebrations as we start the next chapter of the Gleneagles golfing story." For further information and booking, call: 0800 704 705. For more information, visit www.gleneagles.com.